Green restaurants are companies that have passed a rigorous examination to determine whether or not they are complying with good environmental practices. The certification process is extremely difficult and only restaurants that meet or exceed the requirements of the Green Restaurant Association will be accepted into the program. Once they attain their certification, certain steps must be taken to ensure that the company continues to operate in a green manner. This means that the products purchased by a green restaurant must conform to certain guidelines. It is beneficial for consumers to know what kind of products these restaurants must use in order to maintain their status. The GRA has released a list of different products that meet their qualifications for use in a green restaurant. One of the most common problems for green restaurants are take out containers. Customers may want to be able to take extra food home with them, but these containers take up a lot of landfill space and are generally not degradable. In order to circumvent this problem, the GRA recommends that the containers be purchased from Fold-Pak, a company that specializes in the creation of biodegradable containers that are made from 100% recycled materials. Paper products are also another big issue for green restaurants. The GRA recommends purchasing them from the Cascades Tissue Group a company that produces numerous different kinds of napkins for the food service industry. These napkins are all made of 100% recycled material and have the added benefit of being chlorine free. This company also manufactures bathroom tissues, facial tissues and many other paper products that can be used in a green restaurant. The number one problem in landfills today is plastic bags. These bags never degrade and although they are small and crushable, they still account for the majority of space used by landfills. In keeping with smart environmental practices, the GRA recommends that green restaurants use bags made by the Duro Bag Mfg Company. 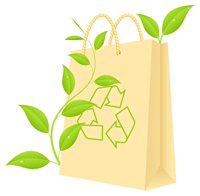 These bags are made from 100% recycled material and they are processed chemical free. Even regular items like sinks, sprayers and steam cookers can be earth friendly. Green restaurants can find recommendations from the GRA on special sinks that use much less water and feature solar powered water heaters. In addition, they provide information on steamers that can reduce the amount of cooking time by 72%, presenting a significant energy savings. Although it isn’t easy for a green restaurant to maintain their certification, it can be done. You can also rest assured knowing that the products you are using from that restaurant are safe for the environment and for your use. 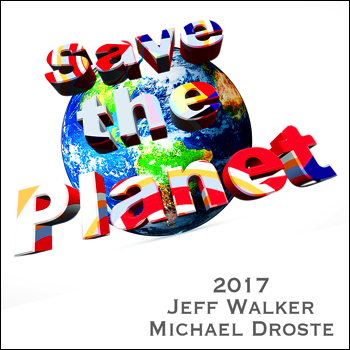 If you are committed to doing your part to save the planet, try to frequent more green restaurants to show your support. They need your business.